In late July I was able to see the 2017 Biennale in Venice, Italy. The Biennale is a grand gathering of work by artists from all around the world. There are two sections, the Arsenale and the Giardini, each with more pieces of art than you could see in one day. I spent three days trying to see all of it. There are exciting and huge pieces, like an enormous marble horse or an 18-wheel truck erected on its nose. Even with these bizarre sculptures, I believe the collection at the Venice Biennale was lacking content overall. I found that most of the artists associated meaning in their work where there was not, or the art was created without relevance to anything at all. 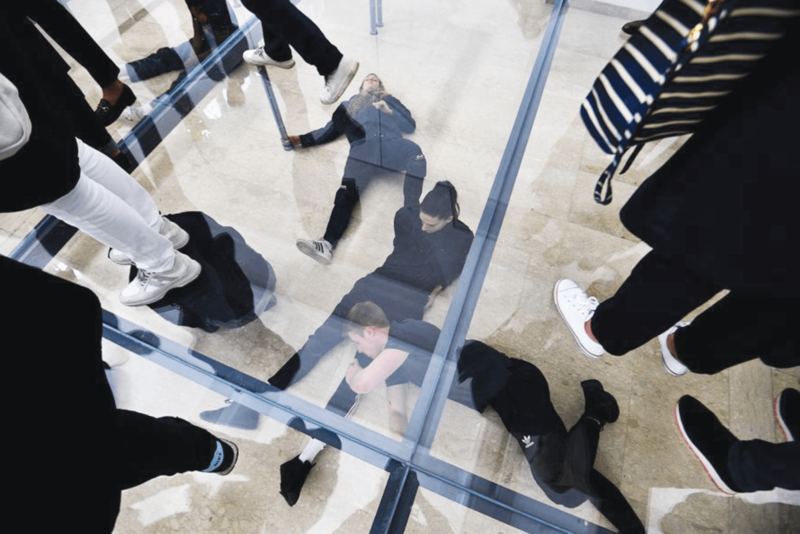 For example the German pavilion in the Biennale was a performance piece by Anne Imhof. In the performance several German 20-somethings taunt their audience, throwing rocks at a glass that separates them, soaking themselves with a fire-hose and other such things. Definitely an interesting performance but it wasn’t until I read the artist’s statement that I had this critique. Anne Imhof writes about her work as post-gender and post-internet, about capitalism and masturbation. None of which were incited in me upon watching the piece. This bothers me a great deal. It’s an incredible time in the world right now, there is so much to talk about and it seemed to me the artists of the Venice Biennale are saying nothing. An artist’s job is to speak, especially when you have an audience as big as the Biennale. On the other hand, the Korean Pavilion spoke out a great deal. The walls were lined with writing and images, newspaper clippings, etc., on Korean leaders of the past and the U.S. government’s involvement with the assassination of Park Chung-hee, who was president in the ’60s and ’70s. This pavilion seemed to speak out a great deal. All this being said it was my first time visiting the Venice Biennale and perhaps the curators don’t want to include who I believe to be the most controversial or topical artists, ones who speak on current affairs about global issues like immigration, police and prison abolition or the rights of trans women. Maybe they prefer to include middle of the road, ostentatious conceptual art.